APS Full Electric/Self-Propelled Stacker | Fredon Handling, Inc.
Includes battery and external charger. 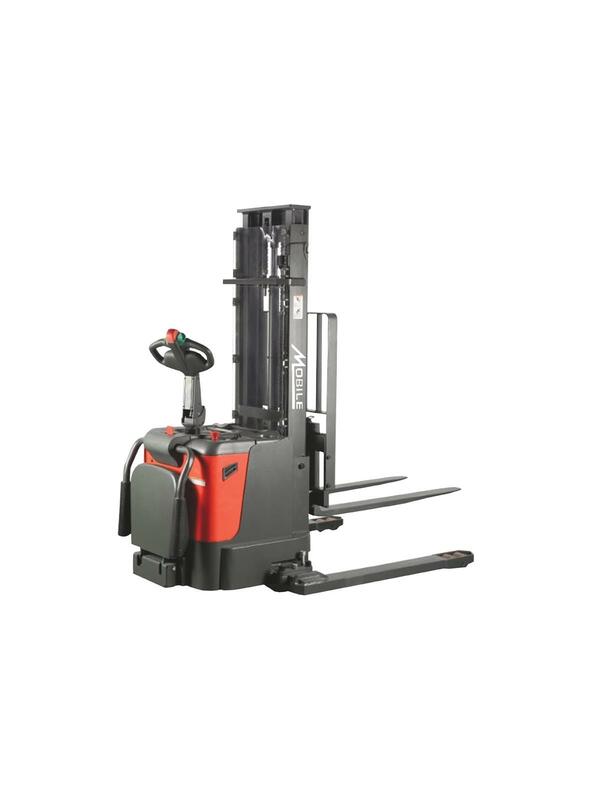 Self-Propelled Pallet Stacker is designed to handle a wide variety of heavy-duty applications. 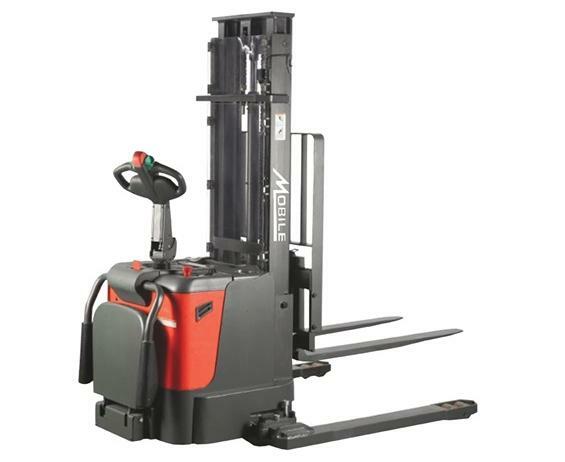 Available in either a 2-stage or 3-stage telescoping masts and lift heights ranging from 124" to 234". Adjustable forks and straddle legs. Key switch, emergency switch and battery discharge indicator. Travel Speed: 3.75 mph. FOB Shipping Point.